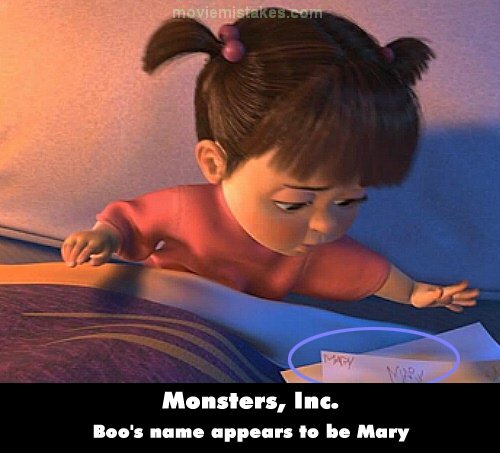 Trivia: Boo's real name is Mary, the same as the young girl, Mary Gibbs, who voices Boo. This is only just visible on one of the drawings Boo makes in Mike and Sulley's apartment. 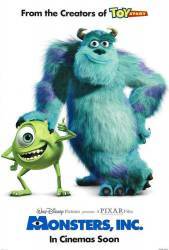 All the pictures for Monsters, Inc.